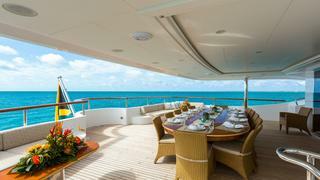 The 203-foot (62m) superyacht LUMIERE II ensures absolute opulence at sea, offering charter guests an unsurpassed experience. 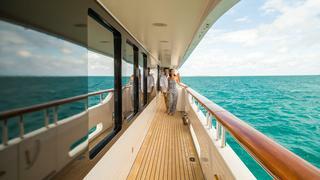 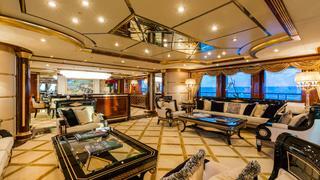 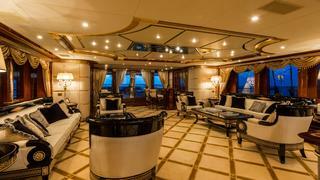 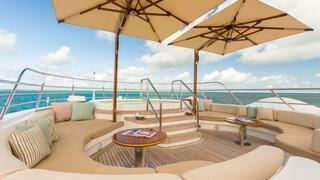 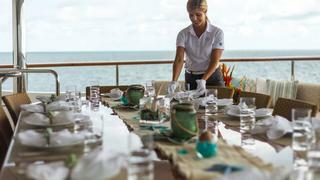 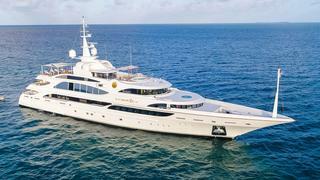 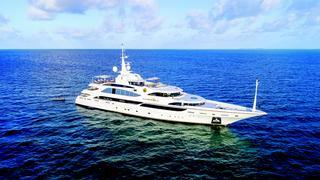 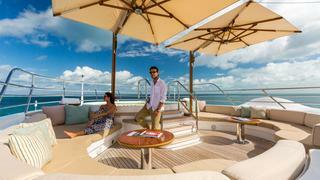 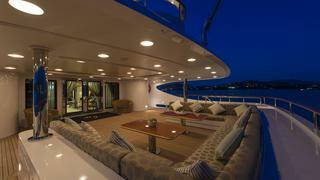 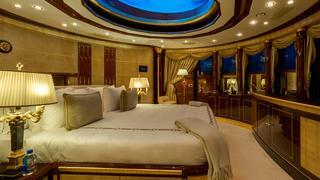 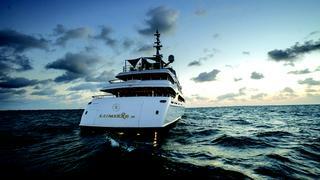 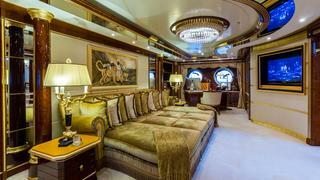 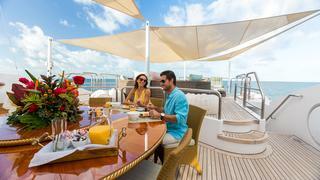 Guests will relish the yacht’s luxurious comfort. 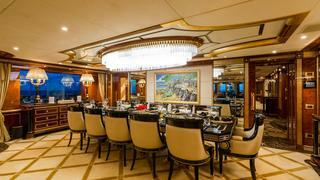 Styled by Studio Massari with extravagant gold accents, leather crocodile patterned wall coverings and a lavish cream-and-black color palate, the interior of LUMIERE II is purely magnificent. 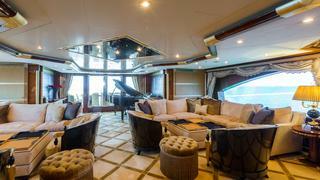 Showcasing plush sofas and chairs, charter guests can enjoy happy hour while listening to the delightful tunes of a baby grand piano in the skylounge. 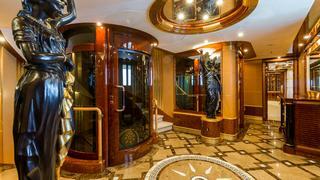 Allowing easy access to all levels, charter yacht LUMIERE II features an all levels elevator. 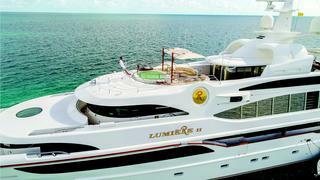 Providing each guest their own tranquil haven, luxury yacht LUMIERE II accommodates 12 guests in six sumptuous staterooms. 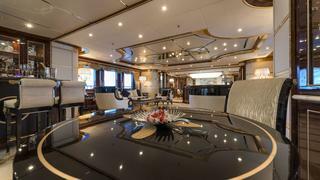 Her main deck master stateroom is a spacious, luxurious oasis that provides 160-degree views and is adorned in mahogany, cream-colored upholstery and gold. 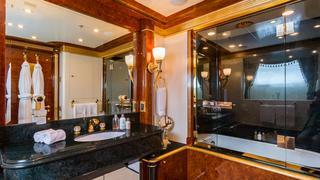 The master is complete with three separate sections a large dressing room, expansive lounge with an office desk and raised bedroom with separate his-and-her en-suite baths with a Jacuzzi tub. 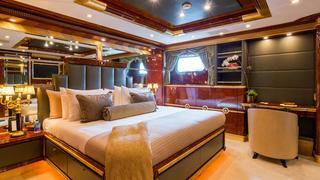 The luxury yacht has a spectacular bridge deck VIP with a king bed, oversized windows and en-suite bath with a Jacuzzi tub. 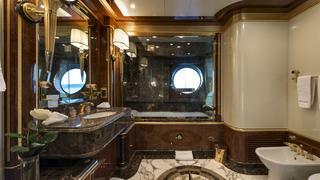 Her additional guest staterooms below deck include one king-bed stateroom with a Pullman and two queen-bed staterooms each with an en-suite bath with a bathtub. 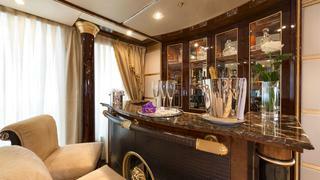 She also has a twin-bed stateroom with a Pullman that is complete with an en-suite bath with a rain shower. 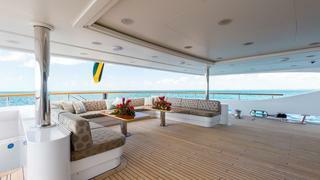 LUMIERE II boasts expansive outdoor living areas, allowing charter guests to sit back and unwind while they experience five-star service. 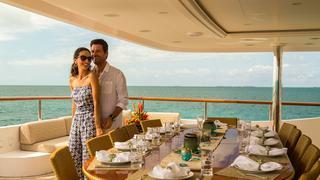 Guests can enjoy a delectable meal alfresco style on the bridge deck or sundeck, soak in the Jacuzzi or become sun-kissed while lounging on the sundeck. 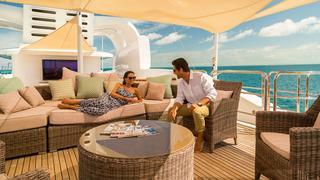 For those into fitness LUMIERE II also features a well-equipped, enclosed panoramic gym on the sundeck. 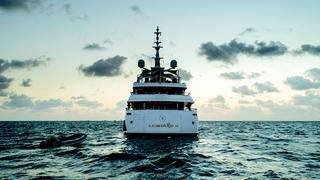 LUMIERE II offers a large array of water toys from tenders and WaveRunners to towable and snorkel gear charter guests can enjoy countless hours of fun off the superyacht’s expansive beach club.